Chillx offers over the top content in the form of films, short movies, videos, games, recommended apps in Hindi, Marathi, Gujrati, Bengali, Kannada, Malayalam, Tamil and Telegu, apart from English. 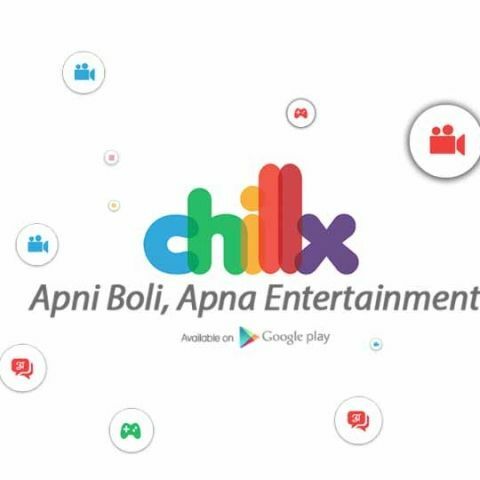 Reliance Entertainment launched its “first multilingual all-in-one entertainment app” – Chillx, in its new venture with a digital media and distribution company FunOnGo Media & Entertainment LLP, founded by Vijay Singh and Ujjwal Narayan. Aiming to be your one stop entertainment app, Chillx offers over the top content in the form of films, short movies, videos, games, recommended apps in a variety of Indian regional languages. Chillx currently supports Hindi, Marathi, Gujrati, Bengali, Kannada, Malayalam, Tamil and Telegu, apart from English. The app currently supports free as well as subscription models that will be announced soon. The app is currently only available for Android and can be download from Play Store, whereas there is no official word on the iOS app. Chillx offers you the option of either streaming the content online or users can also download it and view it later. Chillx also offers a digital entertainment store that curates a mix of games, music, videos and entertainment news along with movies for the users, depending upon the usage habits. Users will also be able to try the paid apps and games before they could buy it. The app also features a reward system where users can earn reward points by liking or sharing the content,along with inviting friends. The reward points can then be used to unlock paid content on the app. Along with being downloadable freely from the Play Store, the app could also come preloaded on selected OEM devices that Reliance Entertainment will be partnering with. It would be interesting to see how Reliance Entertainment’s Chillx appeals to users alongside other streaming apps such as Netflix, Hotstar, Voot, etc. that also have similar offerings and have been in the market for comparatively longer.